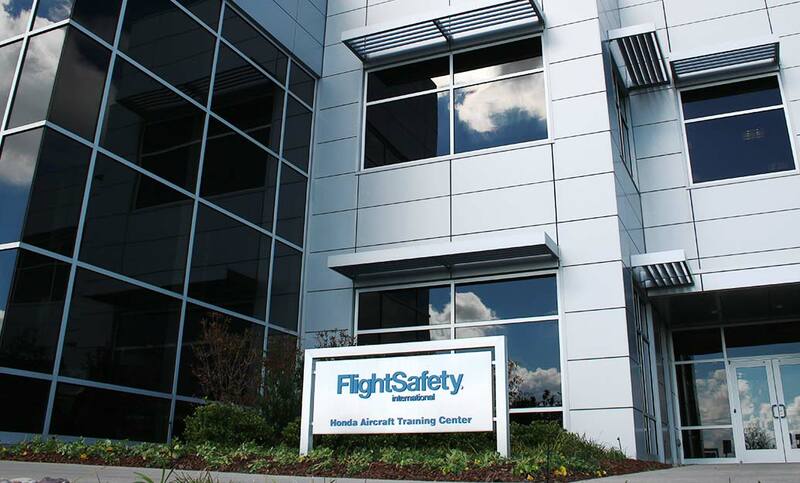 Thank you for taking the time to learn about the HondaJet Aviation Learning Center in Greensboro, NC, U.S.A.
Our Teammates will exceed your expectations with southern hospitality and leading-edge technology. We have an exceptionally experienced staff waiting to provide you with a singularly remarkable training event. Both Pilot and Maintenance training will take advantage of our MATRIX training classrooms which includes a Desk Top Simulator and Graphical Flight-deck Simulator. All Pilot training will take place in a “state-of-the-art” simulator designed and built in close coordination with Honda Aircraft Company engineers, test pilots, and managers. The simulator has an electric motion base and one of our absolute best visual systems, the Vital 1100. During your stay, be sure to spend some time in the city of Greensboro and surrounding areas, often considered the unofficial Furniture Capital of America. Greensboro was named after revolutionary war Major General Nathanael Greene and as such is rich with history and museums. If you really want to get outdoors when not in the classroom, there are dozens of sporting options from recreational golf and fishing to professional baseball. Get out there and enjoy! Congratulations on your relationship with the Honda Aircraft Company and we look forward to your arrival for training.